The poll by YouGov has shown that the Sweden Democrats is now the most popular party with Swedes aged 18 to 34 at 19 per cent, just ahead of the Moderate Party at 18 per cent. The polls follow similar trends in countries like Italy where the majority of first-time 18-year-old voters marked their ballots for populist, anti-establishment parties. In other age groups, the anti-mass migration party also performed well, including the over 55 age bracket in which the party polled at 24 per cent, behind the ruling Social Democrats. Some of the support may come from the increasing number of Swedish pensioners finding themselves homeless due to the shortage of housing as a result of the massive migrant influx in 2015. Sweden’s state broadcaster SVT spoke with several pensioners who have been made homeless in Stockholm who told the broadcaster that they were now considering voting for the SD for the first time in order to change their current situation. Many of the pensioners, including a 73-year-old, forced to spend nights in late-night hamburger restaurants to stay safe and warm, said they were also disappointed in the current government’s integration policies. 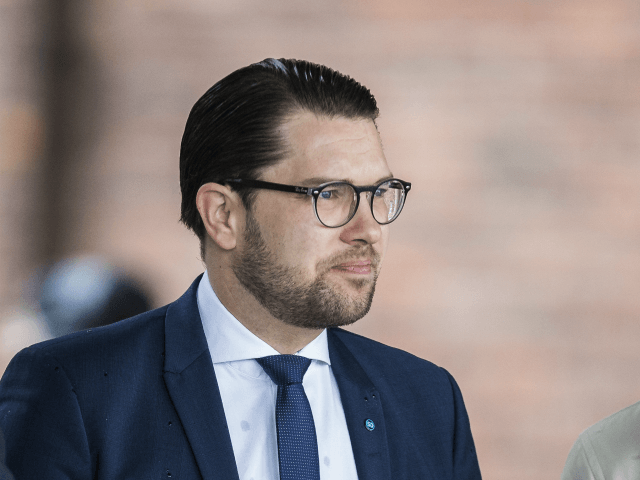 Jimmie Åkesson, leader of the SD, has been a vocal critic of the government’s mass migration and integration policies, promising to secure the borders and force the migration board to focus on deporting failed asylum seekers and illegal migrants. “It is perhaps the most important integration policy measure at the moment, that anyone who doesn’t need protection, who should not be here, will be returned as soon as possible,” Åkesson said. Åkesson also gave an exclusive statement to Breitbart London following Swedish Prime Minister Stefan Lofven’s denial of no-go areas on a trip to the U.S.
“We have re-occurring incidences of cancelled bus lines in fear of entering certain immigrant heavy areas, frequent attacks on emergency vehicles, oftentimes lured in there by fake 911 calls for the sole purpose of attacking the emergency personnel, and even reluctance in simple services such as delivering mail or investigating illegal television/cable services,” he said. “In some areas self-appointed sharia police patrol the streets enforcing dress-code rules and proper Islamic behaviours,” Åkesson added.